Great Gray Owl, Banff National Park, Alberta, Canada. 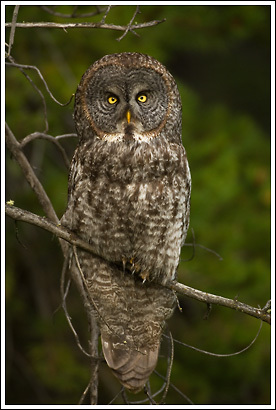 Great Gray Owl Photo, Banff National Park, Alberta, Canada. A great gray owl perches on a spruce tree in the forest in Banff National Park, Alberta, Canada.